Thinking about getting a tattoo? 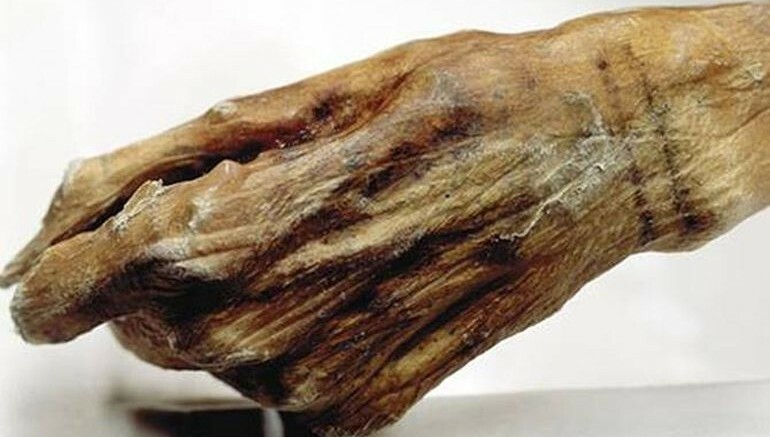 You may want to take inspiration from Oetzi the Iceman. 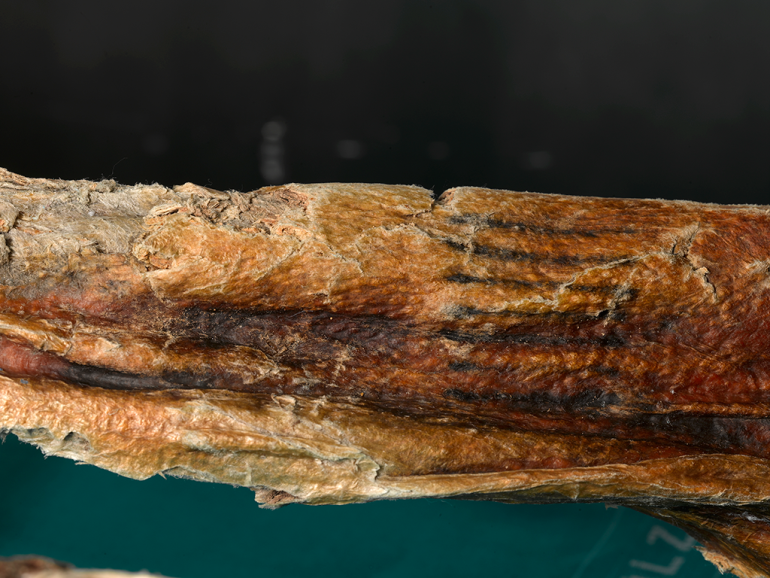 Entombed underneath an alpine glacier nearly 5,300 years ago, Europe’s oldest natural mummy is also the oldest known tattooed human in history, a new study reveals. Discovered back in 1991 in the Oetztal Alps, the mummy has been found to boast as many as 61 markings, spread over 19 different body parts. Experts, from Italy’s South Tyrol Museum of Archaeology, have recently spotted a new piece of tattoo on the Iceman’s mummified body, making him the oldest human to sport such carvings. Published in the Journal of Archaeological Science: Reports, the study also uncover a previous error in interpreting radiocarbon data, which led the researchers to wrongly attribute the record to a Chinchorro mummy, named Mo-1 T28 C22. The Chinchorro was a prehistoric fishing community, inhabiting the coast areas of Chile and Peru between 9,000 and 3,100 years ago. Known for their unique burial techniques, which included both natural and artificial mummification, they are widely regarded as the oldest examples of human mummies. Possessing a series of dotted markings above the upper lip, Mo-1 T28 C22 was originally found in 1983 in Chile’s El Morro region. It is the result of confusing the date of 3830 ± 100 radiocarbon years BP. In radiocarbon dating, BP (or Before Present) refers to the time before 1950 AD. While determing the mummy’s age back in 1980s, the researchers mistakenly regarded 3830 ± 100 BP as 3830 ± 100 BC, while the correct date would have been 1880 ± 100 BC. By comparison, Oetzi the Iceman died sometime between 3,700 and 3,100 BC, making him a predecessor of the Chinchorro mummy by at least 500 years. The study, conducted by researchers from the Smithsonian National Museum of Natural History and France’s Aix-Marseille Université, contains a list of all known tattooed human mummies, spanning through the ages of history. 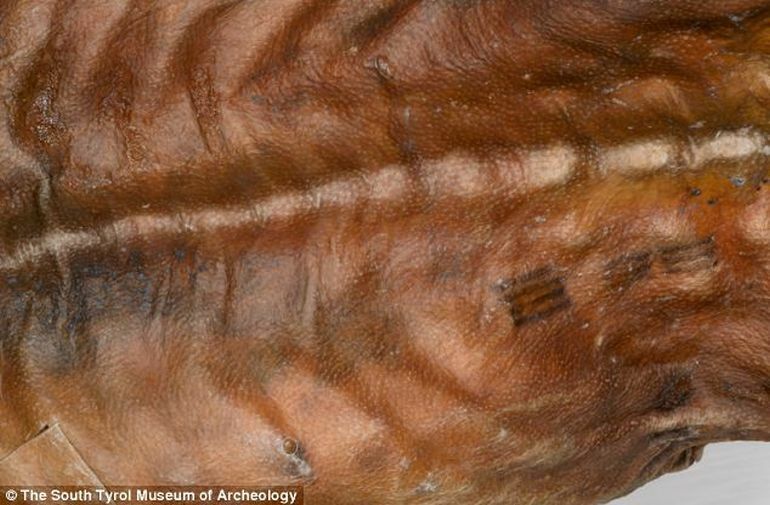 The markings on Oetzi’s body are currently the oldest tattoos etched on human skin. The team came to this conclusion after careful research, involving the use of advanced non-invasive multispectral photographic imaging. 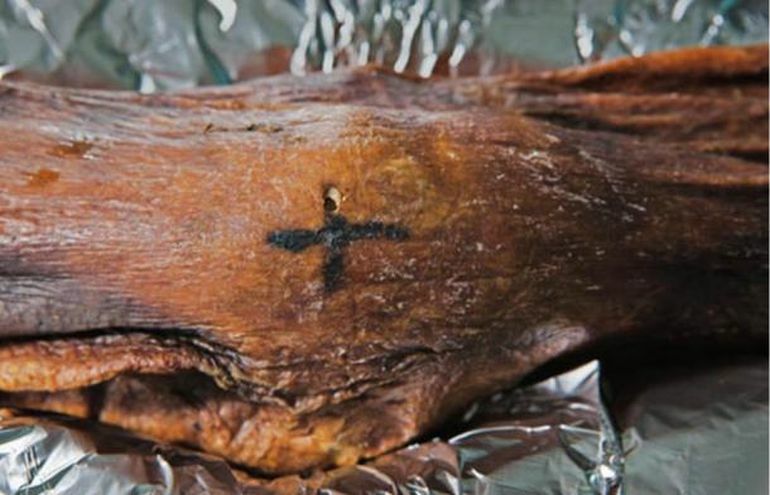 Although Oetzi can now be demonstrated to be the oldest tattooed human so far discovered, it is highly unlikely that he represents the first tattooed person on earth. Oetzi’s 61 marks represent physical actions performed on his body as part of established social or therapeutic practices that almost certainly existed within his culture well before his birth… [Further research will] likely provide direct evidence of tattooing predating 3200 B.C.